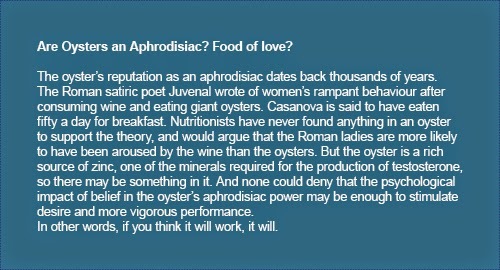 No, it’s not a new computer fantasy game, we’re talking about oysters – also known as sea aphrodisiacs, Ostrea edulis in Latin or kamenicama in Croatian. These world renowned delicacies come from a small bay near Dubrovnik, that has become a destination for the true gourmand. This interesting question was actually posed in the pages of National Geographic. Few dishes can rival the raw oyster for unpalatable appearance and general “ick” factor. If undaunted by the oyster’s rough, rocky, nearly-impossible-to-open shell, the undoubtedly famished first taster would then have confronted the gray, slimy appearance of its plump body. Once beyond any primal gag reflex though, this seminal slurper would have been surprisingly rewarded with the oyster’s delicate, toothy texture, rich flavour, and salty liquor. Or not? The very taste of raw oysters is one of those flavours people simply love or hate. Rarely can you hear someone say “oh well, they’re kinda OK, nothing special”. 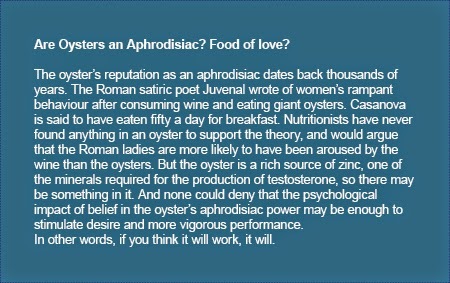 Admittedly, they’re not for everyone, but adventurous humans the world over have enjoyed oysters, raw and cooked, for thousands of years, benefiting also from their high calcium, iron, and protein content. Oyster aficionados agree that a good oyster must be served cold, fresh (look for white to gray colour), preferably be medium in size, tender and juicy. Oysters are best when opened right out of the sea, sprinkled with lemon juice, and followed by a sip of wine. Rare and exotic, such highly prized delicacies are often a luxury available to the lucky few, unless you’re vacationing in Dubrovnik! Mali Ston, a small bay about 45 minutes drive north of Dubrovnik is one of the few remaining places in the Mediterranean that still has water clean and clear enough, along with an unique set of favourable hydrological conditions to support oyster farming. Oysters have been harvested in Ston since the Roman times. Their prime time is beginning of March, traditionally starting with the festivity of St. Joseph, when they are the fullest, but can be enjoyed fresh throughout the entire summer. The simplest way to join the hedonistic club of oyster aficionados is to drive up to Ston and wait on the one of the piers for growers to return from their oyster beds. Better yet, pair oysters with some octopus salad or black shellfish risotto at one of the local restaurants. While it is a common belief that oysters are best paired with champagne, we beg to differ! Wine is the natural companion to oysters. So since you are already in the Peljašac wine growing region, use this opportunity to discover one of the many wine tours the area has to offer – here is an ALH suggestion. Ston City Walls – one of the best kept secrets - the longest complete fortress system around a town in Europe – in fact second after the Great Wall of China. Ston Salt Works – sea salt gathering facilities that date back to the period of Dubrovnik Republic and still operate as 500 years ago. A custom deeply rooted in the Easter celebration throughout the world is presenting decorated eggs as tokens of friendship, love or good wishes. For all of you whom we will not have the pleasure of welcoming for Easter this year, we would like to extend some of the spirit, by letting you in on the special egg decorating technique traditional to the Dubrovnik region. “Penganje jaja” is a traditional egg decorating technique in Dubrovnik based on so-called batik method, or wax resistant dyeing. While it might sound complex at first, the experienced ladies of Primorje and Konavle regions, or in this case one of our own special ladies from ALH who helped with this piece, argue that all you really need is some patience and each egg will come out prettier than the last. - a “pen” made out of a sewing needle (ball shaped) fixed on to a laurel or vine twig (traditionally) or on a regular pencil. Holding the egg in one hand, with the second one dip the pin in melted hot wax, then apply thinner and thicker strokes on the egg. Gradually these dashes, dots or hyphens will form round or star shaped ornaments, various motives, hearts, twigs or flowers. What you will see is that each stroke must be followed by a new dip in the wax. Drawing requires a quick and steady hand, not allowing the wax to cool down on the pin. - Keep the eggs at room temperature for 30 minutes before starting to decorate them. If they are cold, the wax will cool too quickly and peel off, losing its effect later during dyeing. The second part of the process is to dye the eggs with color. Traditional eggs are dyed dark red and the color is obtained by soaking the bark of the pine tree in water for a few days prior to dyeing, or by cooking them with red onion skins. Once your eggs are decorated with wax, place them in cold water with onion skins. Slowly bring to boiling until the eggs are cooked and the wax is melted and peeled off, thus revealing the artwork. Depending on the color of the egg shell and the time the eggs stay in the dye, you will obtain different shades. Eggs with brown shells will have a deeper color, with a more pleasing, warm contrast between the base color and the waxed ornaments. Don't worry, the eggs do not pick up any of the onion flavor on the inside. Even when an egg cracks during the dyeing process and the color reaches its inside, it is still edible. It contains no harmful chemicals. - Two teaspoons of vinegar while cooking will help prevent the eggshells from breaking. Placing an old piece of cloth on the bottom of your pot also help in keeping the eggs intact while boiling. we wish you a Happy Easter filled with joy and warmth.